Bruxism is defined as the involuntary habitual grinding of your teeth, mainly while you’re asleep. That’s what makes teeth grinding so dangerous for you and your smile. Many of the 30 million people who struggle with bruxism don’t even know they’re doing it, so they don’t know what signs and symptoms they should be looking for. 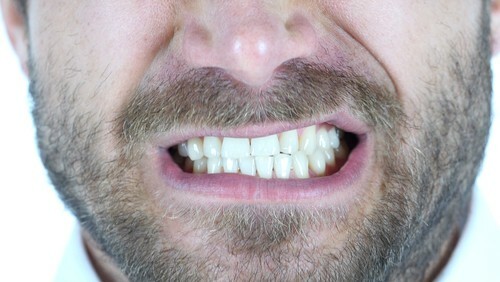 That’s why it’s important to have a partner like your dentist in Belle Fourche who can see the early warning signs and help you fight your bruxism before it badly damages your teeth. Stop ignoring your pain or masking it with medications. It’s time to call our Belle Fourche dental office as soon as possible before your teeth become damaged or broken. We can give you a comprehensive, thorough exam, learn more about the symptoms you’ve been experiencing, and monitor your bite. From there, we’ll be able to address the severity of your teeth grinding and put together a personalized treatment plan for you.